Producer Boney Kapoor and daughters Khushi and Janhvi had an emotional yet overwhelming experience as they graced the 65th National Film Awards in Delhi on May 3, 2018. The family received late actress Sridevi’s award for Best Actress for her performance in the film Mom released in 2017. 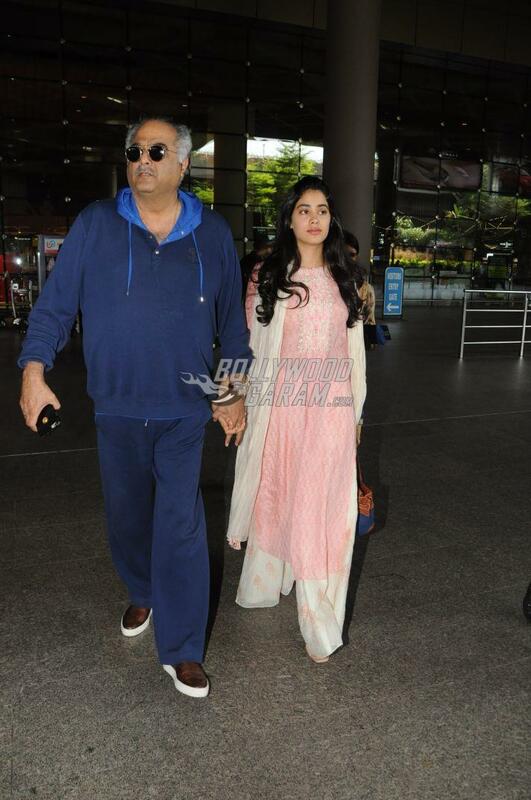 After receiving the award, Boney Kapoor and daughter Janhvi were snapped at the Mumbai airport on May 4, 2018. The father and daughter duo returned to Mumbai after the awards ceremony. Boney looked like a doting father as he held daughter Janhvi’s hand as they made their way through the airport. Janhvi looked pretty in a simple pink ethnic outfit while Boney was seen in a blue tracksuit as they made their way out of the airport. The star kid recently wrapped filming for her debut film Dhadak which will be released on July 20, 2018. 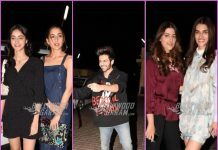 The film also stars Ishaan Khatter and is directed by Shashank Khaitan.